Corta Bella Summerlin - Immaculate Home: New Exterior Paint, Interior Paint, New Cool Decking, New Coating On Sidewalks, Garage Floor, New Carpet, 12" Ceilings, Lush Landscaping With Designer Pebble Deck Pool, All Appliances , Two Fireplaces, Office With Builtins & French D00rs, Large Master With Fireplace And Access Out To Pool, Covered Patio, Wetbar . MLS#2088021. Realty ONE Group, Inc.
Don't just retire RETIRE IN STYLE A MUST SEE! ! MLS#2086310. Signature Real Estate Group. Summerlin Village - Walk To The Summerlin Mall, Red Rock Casino Or The New Baseball Fields. MLS#2087201. 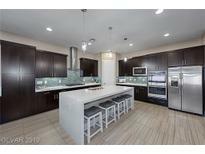 Realty ONE Group, Inc.
Summerlin Village - Stunning hm like a model,Mountain View’s,Mesa’s comm.in Summerlin,w/Clubhouse,parks.Hm is a dream,3 bdrms +loft +Den,Form liv wood floors t/o dwnstrs,open Flrpln, chefs kitch, lrg granite island w/pendant lights,White cabinets, S/S appli,tile backsplash,Sep fam rm w stone fireplace.Upgraded chandeliers in Fam rm & Din rm.Wood banisters.Mstr suite w/soaking tub, Sep shwr, dual sinks & w/I closet.covered patio, above ground spa, & built-in gazebo MLS#2087438. Realty ONE Group, Inc.
Garden Glen At Summerlin - Sit and enjoy the evening on either the front or back patio surrounded by it's mature landscape or make the short trip to downtown Summerlin! Welcome home! MLS#2088204. Coldwell Banker Premier. Kitchen over looks the Family Dining room, with fireplace, MML wood floors, Large back yard with covered tiled Patio, Walking distance to the lovely Angel Park. Storage shed in backyard. 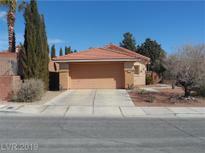 MLS#2087457. BHHS Nevada Properties. Sunset Ridge At The Ridges - Ridgebrook Park offers a lighted tennis court, basketball court, picnic area, splash pad, and open grass areas. Walking distance to Goolsby Elementary MLS#2087060. Keller Williams Realty Las Vegas. Hillstone Summerlin - Priced To Sell Now, Lovely Single Story Home In Highly Desirable Area, Very Well Taken Care Of, Cute Courtyard Entry, Open Floorplan, Neutral Colors, Gorgeous Tile In All Trafic Areas, Carpet Only In Bedrooms, Separate Master Bedroom For Privacy, Ceiling Fan, Step Saver Kitchen, Yard Is Ready For Your Personal Touch, Small Community Park Area. MLS#2088124. Hudson Real Estate. 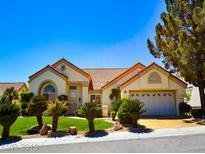 Sun City Las Vegas - Open house, Friday April 19, 11am - 3pm, & Saturday April 20, 11am - 3pm MLS#2087951. BHHS Nevada Properties. 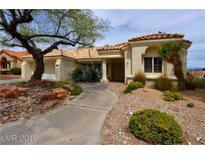 Santa Barbara At Summerlin - Current Tenant to vacate the property by May 1st and showings will start at that time. MLS#2088136. Hanley Realty Group. Sequoia - All offers must have financing approval letter and/or proof of funds when submitting please. 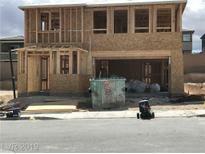 MLS#2088052. Elite Realty.